Still sane after the school holidays? Could things have run more smoothly? Could you have enjoyed your time together a little more? 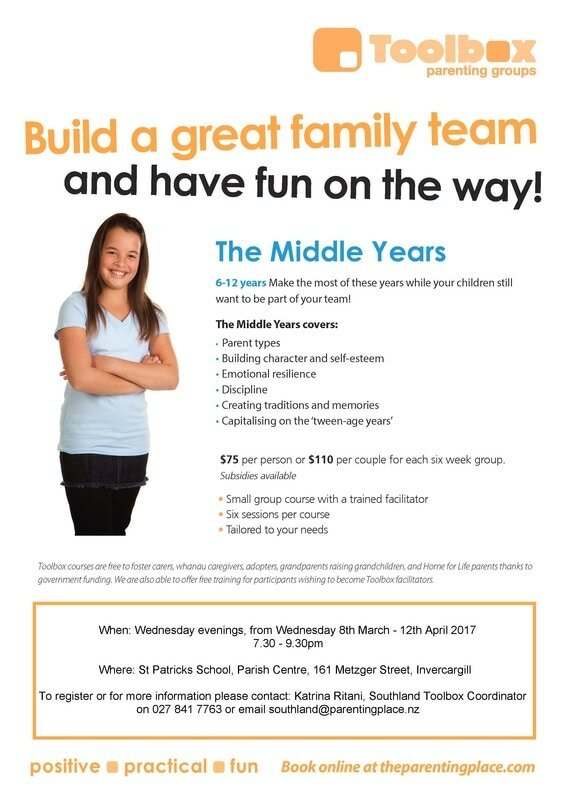 The Parenting Place will be running a Toolbox Parenting Group for parents of children aged 5 - 12 for 6 weeks in Term 1, 2017. 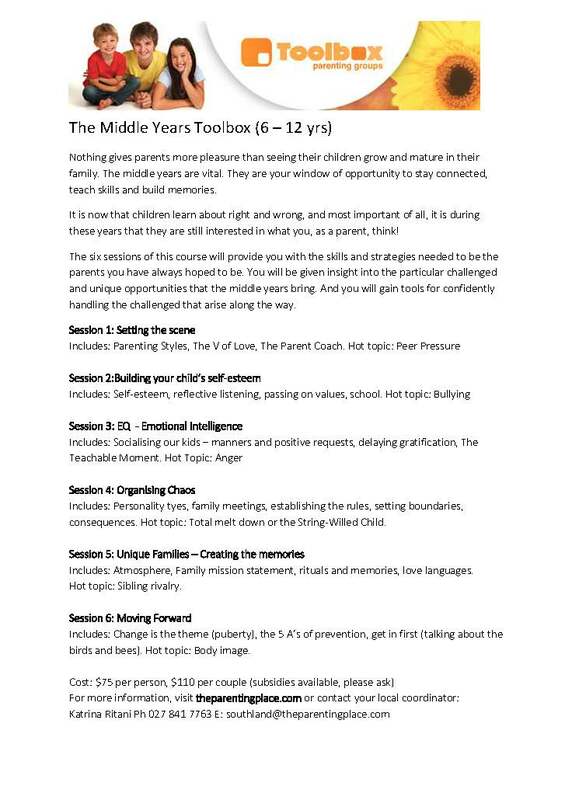 ​The Middle Years Toolbox is positive, practical and fun! During this course you will gain tools for confidently handling the challenges that arise along the way, as well as enjoying the ride, making memories and building more fulfilling relationships! Where: St Patricks School, 161 Metger Street, Invercargill. Contact Alice Fraser at alicejade27@gmail.com or 0212054412 to register your child. these can also be found under Sports. Week 3 - 22nd to 26th January. For those who can swim 50 metres confidently we also offer our Diving and Boating courses. Designed to enhance all individuals’ learning and thinking. Kiri Scott: Certified mediator in FIE, basic (level 1) ages 4 - 8 and standard (level 1) ages 9 – adults. My passion is to help dyslexic children access learning, so they can become independent learners and become the best that they can be. My journey with FIE started when, as a family, we decided that the endless struggle our dyslexic son had in accessing learning, had to stop. There had to be an alternative way for him to learn. That’s when I saw the TV program Sunday, (new approach for dyslexia). FIE is made up of a series of structured paper and pencil exercises which gradually increase in levels of difficulty and abstraction. The exercises are ordered into instruments that focus on specific cognitive areas that the learner needs to develop. It strengthens the weak cognitive capacities that affect our learning, while working in parallel to our brain’s ability to grow new pathways and neurons, which effectively redesigns our brain. The student is guided through the task by a mediator, who helps the student develop strategies for problem solving and analytical thinking, which is necessary for children to function as independent learners. The student’s learning is then bridged to life experiences to gain meaning. Students who have participated in these activities have also shown an increase in confidence with regard to their learning and are engaging more meaningfully in the classroom. Professor Reuven Feuerstein, developmental psychologist, developed FIE, which is currently used in more than eighty countries worldwide. Feuerstein Instrumental Enrichment helps enhance all individuals’ learning and thinking. 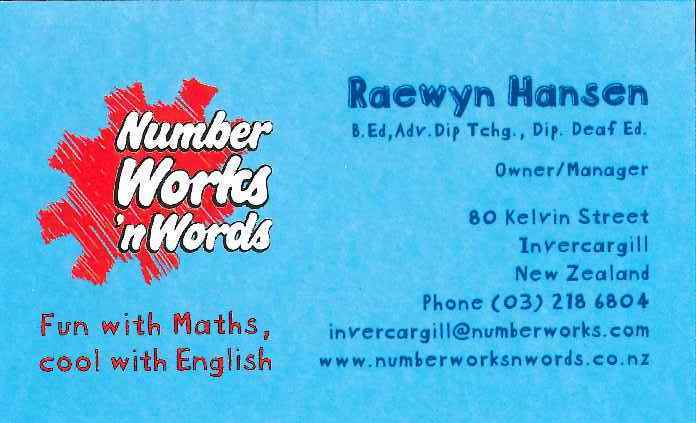 From dyslexia, brain injury, dyspraxia, learning difficulties to the gifted. If you are interested in FIE tuition or would like more information, please feel free to contact me.